Smile design uses a combination of cosmetic dental procedures to improve the appearance of your smile. Often only a few small changes are required to create a complete smile transformation. Through a combination of cosmetic dental procedures, such as veneer and dental implants we can give you the beautiful smile that you have always desired. The active ingredient in the product is normally hydrogen peroxide or carbamide peroxide, this is administered either directly by the dentist (in–chair whitening) or by the patient themselves (at–home whitening). As the active ingredient is broken down, oxygen gets into the enamel on the teeth and the tooth colour is made lighter.To obtain the maximum results we recommend a combination of both over a course of treatments. Initially, your dentist will need to take impressions at the first appointment. At the next visit, a customized tray will then be fitted, including instructions on how to wear them. A satisfactory result can usually be obtained in as little as one week. Whitening can only lighten your existing tooth colour – for a change to a specific chosen shade veneering is another option. Whitening also only works on natural teeth. It will not work on any type of ‘false’ teeth. This includes dentures, crowns and veneers. 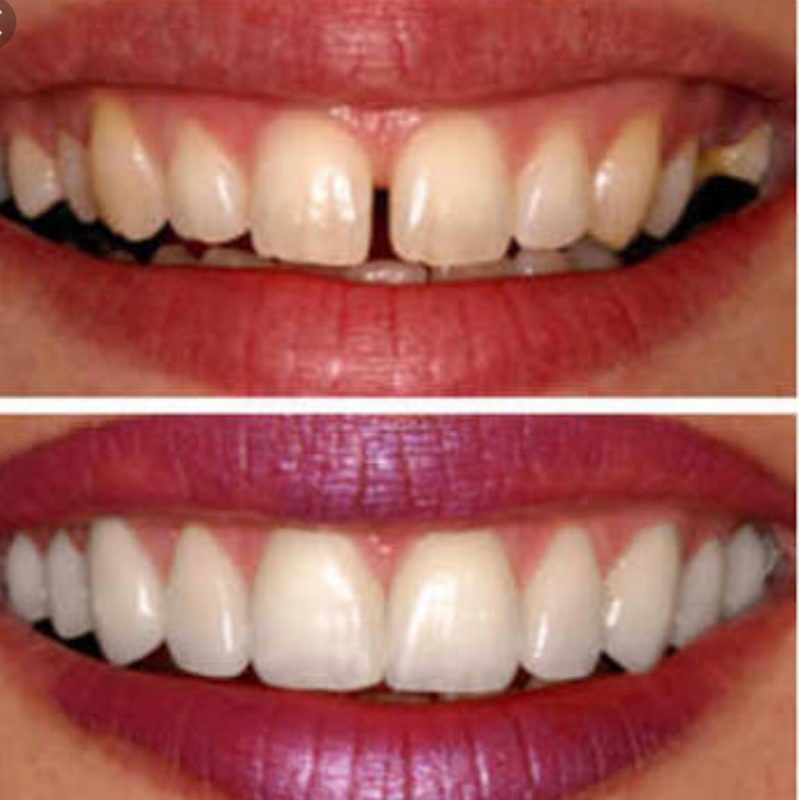 Tooth Whitening can be a highly effective yet very simple method of lightening the colour of teeth, which does not need the removal of any tooth structure. Most teeth are pearly white? No. Most teeth have a yellowish tinge, some are more beige- very few are actually ‘white’. Teeth also darken with age and can become stained on the surface through daily exposure to foods and drinks such as tea, coffee and blackcurrant. Some people may have internal staining which can be caused by certain antibiotics or minute cracks in the teeth, which take up stains. What to do while wearing them? It is very important to follow the instructions issued by your dentist and to ensure that you attend any follow-up appointments recommended. It is important to avoid certain food items such as red wine, coffee and smoking. Please ask your dentist if you are not sure. Treatment results may vary depending on the original shade of the teeth. Teeth will tend to darken slightly overtime. The effect lasts for around one to two years, although sometimes it can last longer. Some people find that their teeth are sensitive for the first few days after treatment, but this wears off after just a short while. Your dentist can provide gels which will reduce this quickly if necessary. 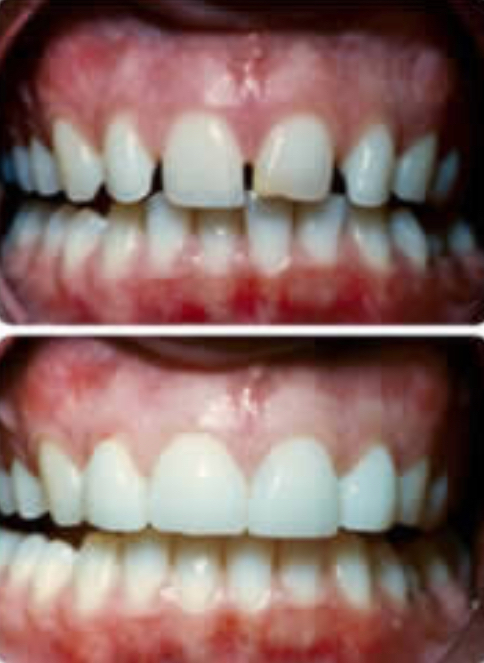 White ‘composite’ fillings are sometimes a popular option. They can give the more natural look that many people desire. Cost can vary depending on the size and time taken to place the filling. Composite fillings are strong, but may not be as hard wearing as amalgam fillings. Composite fillings are tooth colored and are made from powdered glass quartz, silica or other ceramic particles added to a resin base. After the tooth is prepared, the filling is bonded onto the area and a light shone onto it to set it. The dentist will choose a shade to match your existing teeth, although over time staining can happen. Are there any risks from amalgam fillings? Mercury in dental amalgam is not poisonous once it is combined with the other materials in the amalgam filling. Its chemical nature changes so that it is harmless. Research into the safety of dental amalgam has been carried out for over 100 years. So far, no reputable controlled studies have found a connection between amalgam fillings and any medical problem. Are white fillings as good as silver amalgam fillings? White fillings have always been considered less long-lasting than silver amalgam fillings. But there are now new materials available with properties comparable to silver amalgam, and these are proving to be very successful. The life expectancy of a white filling can depend greatly on where it is in your mouth and how heavily your teeth come together when you bite. A veneer is a thin layer of porcelain made to fit over the front surface of a tooth, like a false fingernail fits over a nail. Sometimes a natural colour ‘composite’ material is used instead of porcelain. This is done because the tooth might have been damaged by decay or an accident, or might be badly discoloured for some reason. Veneers are usually made out of porcelain by a dental technician. You will have to visit the dentist more than once for this type of veneer. Your dentist will check any fillings in the teeth first. A very small amount of natural tooth material needs to be removed – just enough to prevent the veneer making the tooth look or feel bulky. For this reason, it may not be necessary for the dentist to numb the tooth. Preparation time will depend on how damaged the tooth is and whether it needs to be built up with a filling first. The dentist will need to use a putty-like material to make a mould of your mouth (called an impression), so the dental technician can tell the shape and size of veneer to make for you. Your dentist will glue the veneer made by the technician to the tooth when you next visit. Veneers sometimes come away from the tooth or break if the tooth is knocked. They can sometimes be glued back on, but will have to be replaced if they are damaged. Some veneers are built upon the tooth directly using the same material that is used for white fillings. The surface of the tooth is roughened with a mild acid. Then white filling material is applied in layers until the teeth look right. Veneers can greatly improve your appearance. They hide imperfections, and you lose very little natural tooth material. Veneers also protect teeth from any more damage. Tooth surface can be dissolved away by acid in the mouth (usually from too frequent consumption of certain kinds of food and drink): this can make teeth very sensitive to hot and cold. In this situation, veneers can protect the teeth. If the tooth is strong, a veneer is often a better option than a crown for improving a tooth’s appearance.